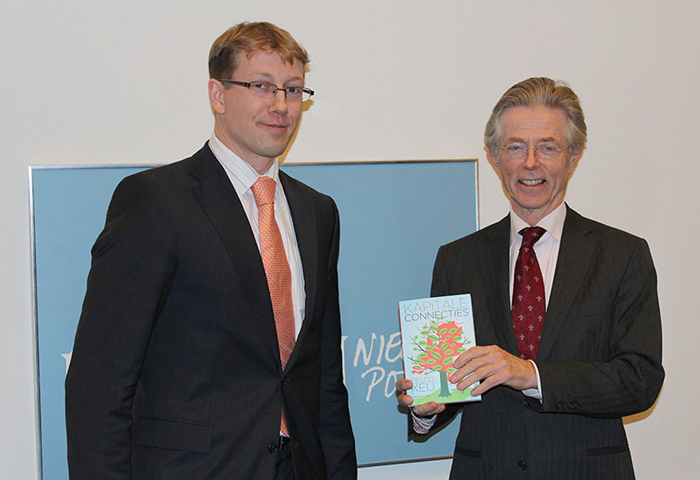 On February 6, 2014, the first copy of Eelco Keij’s political manifesto Fortunate Connections (Kapitale Connecties) was presented to Joris Voorhoeve, former Dutch minister of Defense, at the Newspoort venue in The Hague. A group of international reporters attended the book launch and discussion on the issue of the value of Dutch people abroad and their benefit to the Netherlands itself, (the lack of) their political representation, and dual citizenship. See the full project here. Eelco Keij and Joris Voorhoeve.